Dr Edu Herbal Center based in Mankessim has been adjudged as the Best Stroke Hospital at the maiden Ghana National Herbal Awards held in Kumasi. The Center, in the year under review, treated over 1,800 stroke patients to earn the award. The Ghana National Herbal Awards seeks to promote made in Ghana products and expose them internally and globally through different mediums to encourage the production of unique herbal products and efficient service delivery. 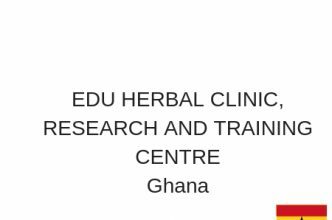 Dr Edu Mohammed, Chief Executive Officer (CEO) of Edu Herbal Clinic, in an interview with Ghana News Agency, during a short ceremony held to celebrate the achievement with his workers, commended the organisers of the event for the recognition given to the entire herbal industry. He said the event would motivate those in the herbal industry to develop more quality products to address health challenges in the society.